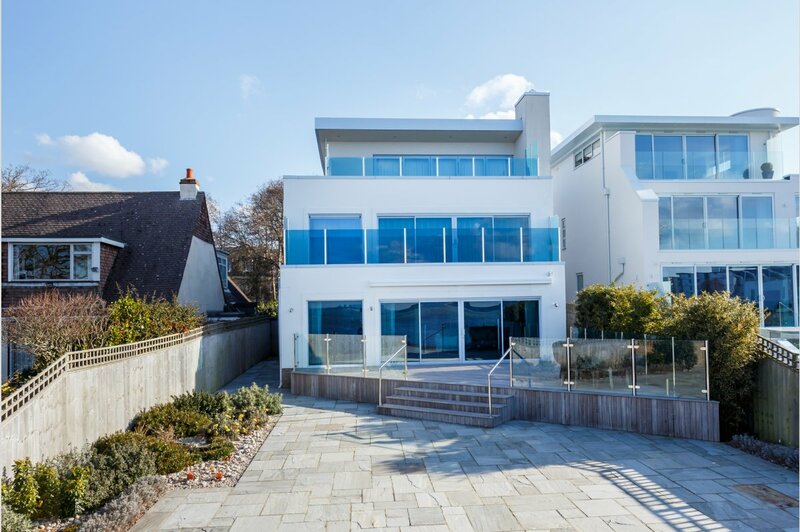 This impressive water front contemporary five bedroom detached residence backs directly onto the Blue Lagoon, with beautiful panoramic views across Poole Harbour and benefits from a private slipway onto the water. Lagoon Road is a quiet cul-de-sac pleasantly positioned in one of Lilliput�s most sought after central locations. Lilliput Village is located approximately half a mile from the blue flag beaches at Sandbanks and is home to Salterns Marina and a variety of shops, including a Tesco Express and Co-operative petrol station, an award-winning Bakery/Patisserie, Thai restaurant and take away, florists, off licence, surf and bike shops. There is also a doctor�s surgery and chemist along with Lilliput First School. Lilliput offers excellent communications to the town centres of Poole and Bournemouth. Transport communications are excellent as the main line railway station at Poole provides services to Southampton and London. 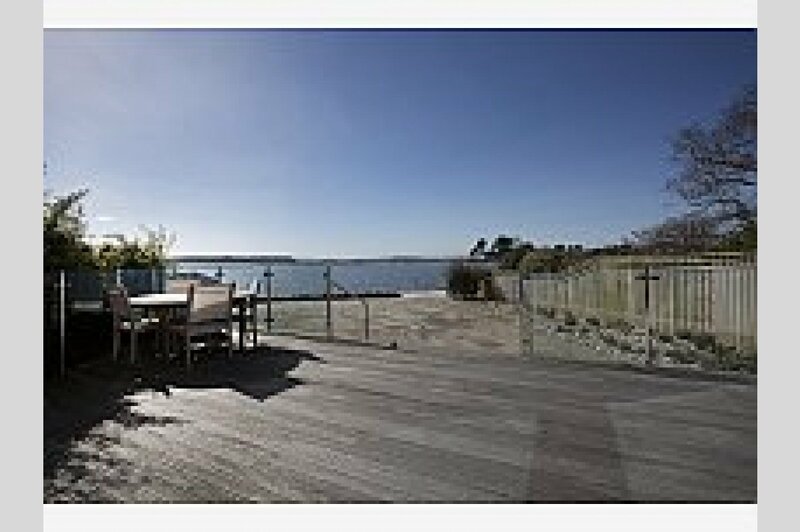 The area offers many sporting facilities including prestigious Parkstone Golf Club close by, along with a large variety of watersports offered in the harbour and from the beaches. The property offers versatile accommodation arranged over three floors extending to approximately 3,262 sq.ft. 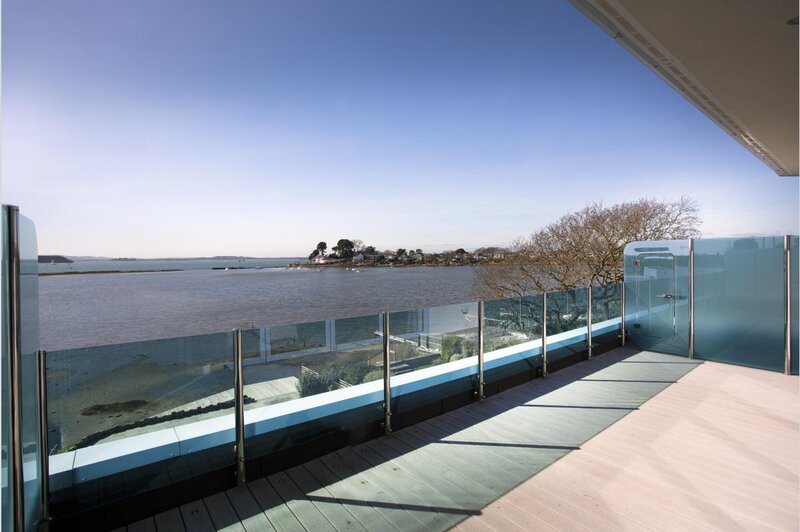 All principal rooms have been designed to take full advantage of the outstanding panoramic views across the Blue Lagoon and Poole Harbour, with Brownsea Island and the Purbeck Hills beyond. Upon entering the property you are greeted by a spacious reception lobby and media room with Bowers & Wilkins surround sound speakers. This room benefits from a full height picture window and has an adjoining guest cloakroom. 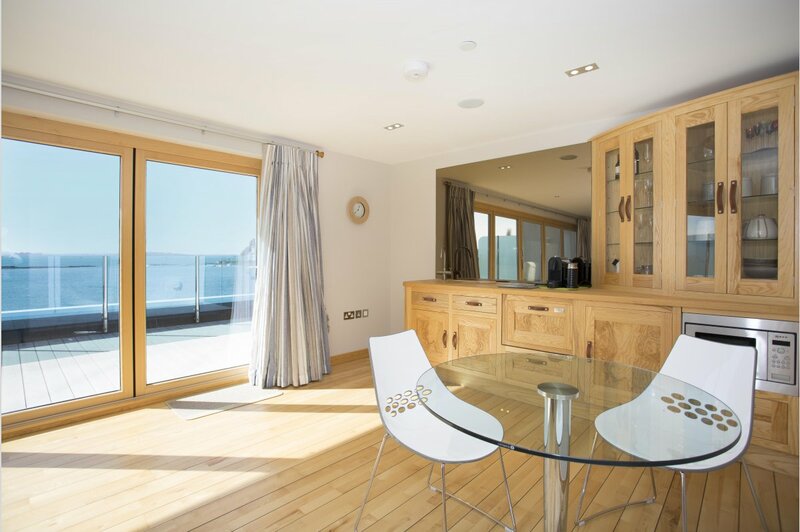 Located to the rear of the property is an impressive 27�7��x 27�2�� open plan living room with a welcoming wood burning stove, sliding doors and full height picture windows providing immediate views of the garden terrace and Lagoon. The kitchen area offers a comprehensive range of high quality units with fully integrated Miele appliances and a Gaggenau wine cooler. There is also a raised breakfast bar and dining area. 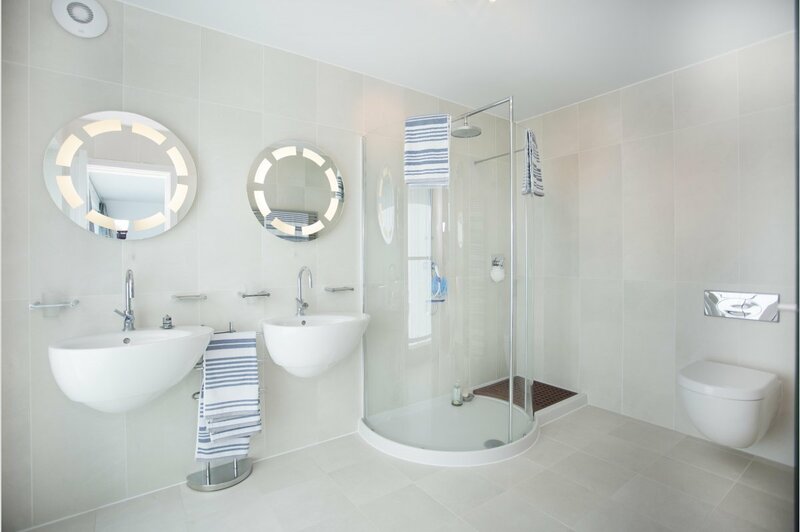 From the first floor landing, there are double doors opening to the main bedroom suite with a dressing area and luxurious en-suite shower room, whilst opening onto a south west facing balcony. The second bedroom also benefits from an en-suite shower room and two further double bedrooms are serviced by the family bathroom. The top floor provides the potential for self-contained accommodation, offering a family room with a quality bespoke handmade kitchenette complete with a fridge, dishwasher and microwave. 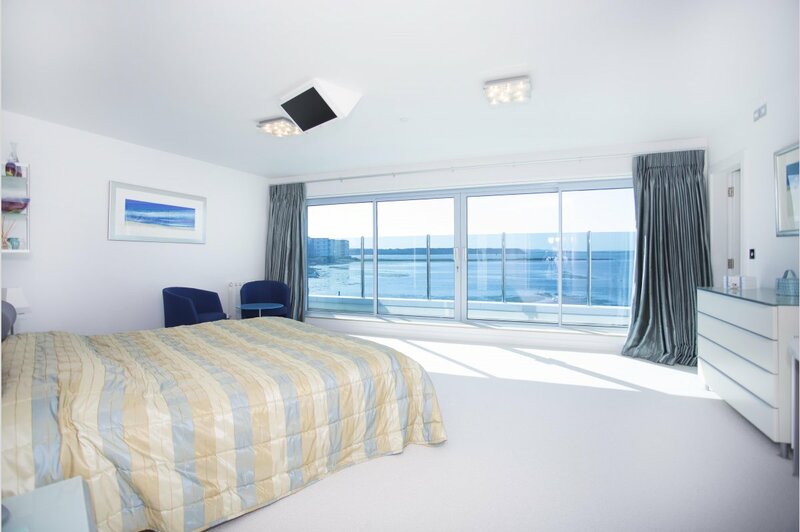 This room, complete with Sonos sound system, enjoys bi-fold doors opening onto a large roof terrace with glorious elevated views of the surrounding area. 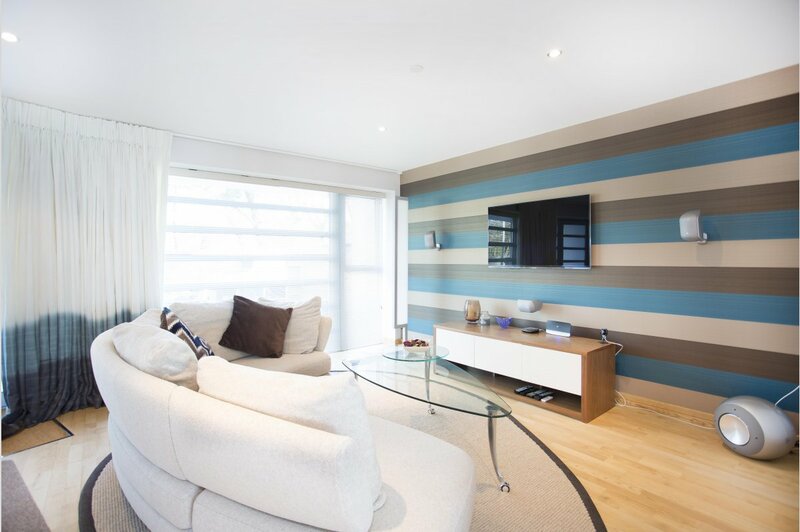 There is also a double bedroom with a walk-in wardrobe/store room and a luxuriously appointed wet room. 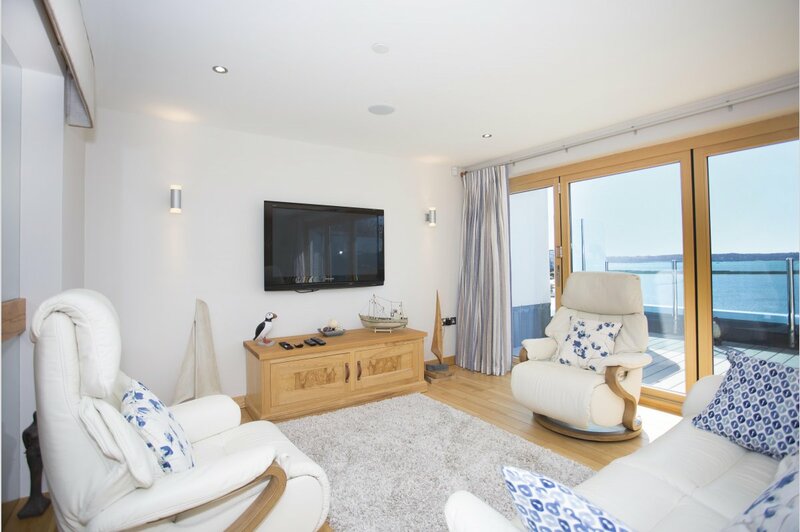 Outside is a beautifully landscaped south west facing garden with a raised decked terrace immediately adjoining the property with a storage area below suitable for canoes and water sports equipment. 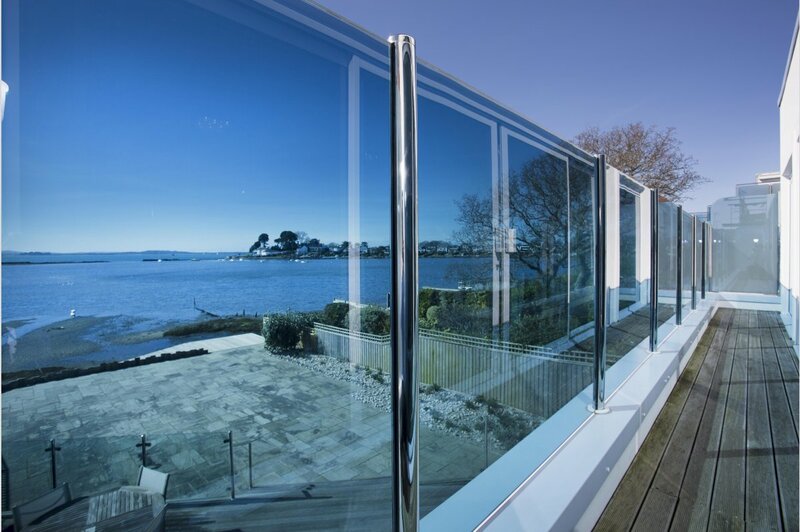 The terrace has glass balustrades and steps down to a good sized paved area with feature planted stone borders. 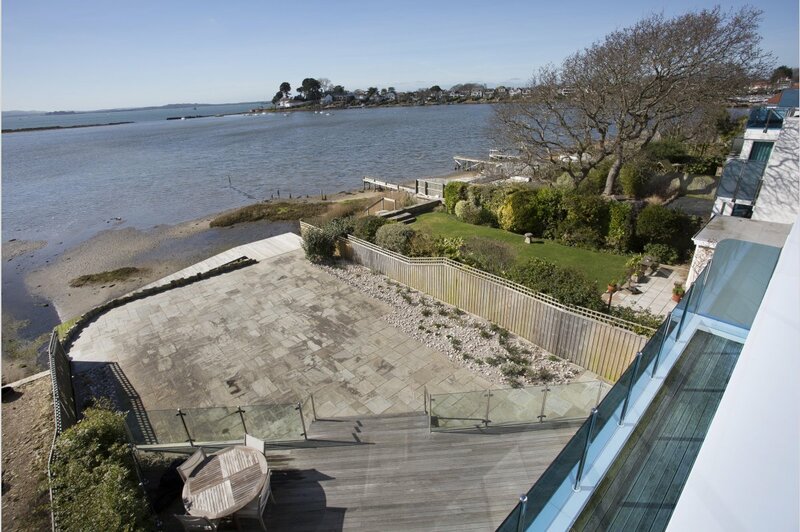 Located to the rear of the garden is a wooden decked slipway providing direct water access onto the Lagoon. The front block paved driveway has an electrically operated gate and provides parking for 3/4 vehicles. The large garage, with direct garden access, has an electronically operated door, tiled floor and a useful utility area. To fully appreciate this impressive property and stunning location an internal viewing is highly recommended. Detached house extending to approximately 3,262 sq.ft.